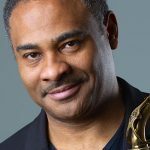 Todd Wright, as director of the jazz studies program at Appalachian State University, has been responsible for directing Jazz Ensembles I and II, teaching courses in jazz improvisation, jazz history, jazz piano, jazz tunes, coaching combos and teaching applied lessons. He oversees the course of study for the Jazz Certification Program, and in 1993 created the university’s Jazz Vocal Ensemble. He has earned degrees from University of Pikeville (KY), Appalachian State University (NC), and University of South Florida (Tampa) where he taught while pursuing graduate studies. 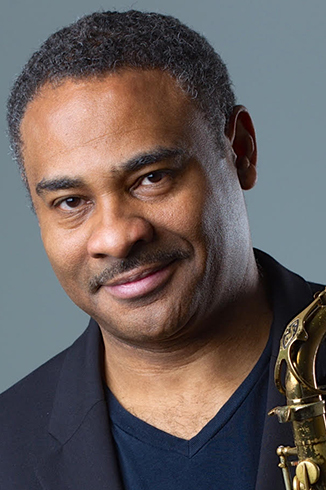 He has been the recipient of several university and community service awards, and was selected a winner of the Jazz Fellowship Award given by the North Carolina Arts Council. In 2013 Wright was nominated to represent Appalachian State University in the running for the O. Max Gardner Award, given annually by the Board of Governors of the University of North Carolina to a faculty member who “has made the greatest contribution to the welfare of the human race.” He is a jazz clinician, adjudicates at festivals and speaks on the history of jazz. He is an active jazz saxophonist. As director of Jazz Ensemble I at Appalachian, he has directed the ensemble in five European performance tours. Wright, in 2007 directed a European performance tour of Appalachian State’s Jazz Ensemble I to Germany, Switzerland, France, Liechtenstein and Bavaria. Performances in Madrid, with a student combo, took place in 2011. He directed a third European performance tour (ASU Jazz Ensemble I) of Germany, Belgium, Holland, France and Luxembourg in May 2013. The ensemble traveled from Milan to Naples, Italy in May 2015. Two performances were held in Rome. In May 2018 he again directed the ensemble in four Scandinavian performances (Sweden). Others of his students have gone on to perform worldwide. Along with the Unifour Jazz Ensemble he was chosen a winner of Downbeat Magazine’s Gold Award at Musicfest in Chicago and has performed at Spoleto Festival in Charleston, South Carolina. In addition to jazz festivals participation Wright has performed for corporate and national events such as the United Way and the Masters Golf Tournament in Augusta, Georgia, among others. He has blown the saxophone for a president and vice-president, and has performed at a celebration event on a commercial airliner at 37,000 feet. As a studio musician Wright can be heard on numerous projects of other recording artists. His own debut recording Begoniawas followed by Christmas Time Is HereandReflections, a duo collaboration with New York recording artist Frank Kimbrough at the piano. Two projects, a standards album and one consisting primarily of originals, are not yet available for public release. Todd has shared the stage with international jazz greats Phil Woods, Jamey Aebersold, Sheila Jordan, Benny Golson, Ben Tucker, Clark Terry, Eddie Daniels, Randy Brecker, James Williams, John Riley, Tony Monaco, Peter Erskine, Derek Smith, Wycliffe Gordon, Herb Ellis, Dr. Billy Taylor, Ingrid Jensen, Marcus Roberts, Jason Marsalis, Ernie Watts, Bill Watrous, Allen Vizzutti, Bernard Purdie, Duffy Jackson, Sam Rivers, Michael Mossman, Jon Faddis and others. He has shared the stage with entertainers Idina Menzel, Joe Williams, Rita Moreno, the Fifth Dimension and Patti Page and others, and has opened for the world-famous Dave Brubeck Quartet. He has recorded with Donald Brown and Cyrus Chestnut. Wright has performed in the Caribbean, Mexico, Italy, France, Germany, Spain, Holland, Luxembourg, Switzerland, Sweden and Brazil. He performs regularly with his jazz groups and has participated in jazz workshops in Germany and Brazil. In Freiburg and Alpirsbach, Germany he conducted workshops (May 2006). He performed in Curitiba, Brazil (November 2013) the premiere of Keith McCutchen’s Jazz Vespers for Chorus, Soloist, Orchestra and Jazz Quintet (with Camerata Antiqua de Curitiba). In July 2014, in Rio Preto and Olimpia, Brazil, he participated/and performed in the International Brazilian Workshop. Wright has been featured at University of Florida’s Brazilian Music Institute on several occasions. He has taught as Summer Music Camp at University of Wisconsin (Madison). 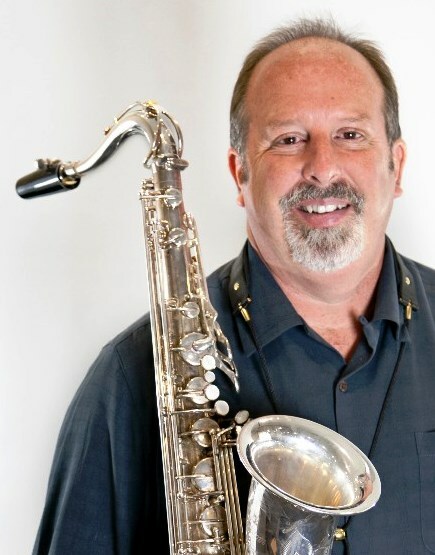 Saxophonist and composer Jack Wilkins is Professor of Jazz Studies at the University of South Florida School of Music where he is Director of the Jazz Studies program, , teaches courses in jazz improvisation, jazz styles and analysis, and jazz history, directs jazz ensembles, and teaches applied jazz performance. Under Professor Wilkins leadership, USF Jazz Ensembles have performed at many of the world’s most prestigious Jazz Festivals, conducting over 14 concert tours to Europe and South Africa. Professor Wilkins was appointed as a 2017-18 Fulbright Scholar to the University of Calgary, as Research Chair in the College of Creative and Performing Arts. Jack Wilkins has five CD’s out as a leader, including his latest film and music project, The Banff Project, a DVD/CD released on Yaktunes Records. 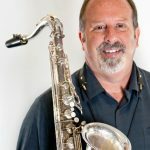 Jack Wilkins is a featured soloist on the critically-acclaimed recordings by Chuck Owen and the Jazz Surge, including “Whispers on the Wind” for which he was a Grammy award finalist as a performer on the 2017 CD release (This CD received 4 Grammy nominations overall) andas the saxophone soloist on“River Runs: A Concerto for Jazz Guitar, Saxophone and Orchestra”, released in 2013. This CD was also Grammy Award Finalist for that year. Jack’s artistic improvisations and saxophone performance have received very positive reviews and international exposure on a wide range of jazz, classical and eclectic online and traditional radio stations. As a composer, Jack Wilkins has written music for his own CD projects, as well as for others. He has received attention for his original compositions, especially his latest CD projects: The Banff Project, and The Blue and Green Project. His unique combination of Jazz, Classical, American roots music and other musical styles in the creation new pieces has garnered positive reviews and audience reaction.